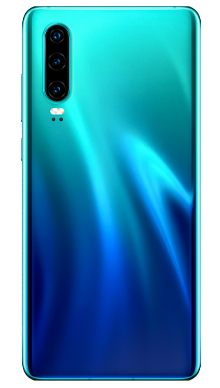 The Huawei P30 Pro is the larger version of the latest offering from global giants Huawei and is a stunning masterpiece packed full of the newest technology, in a stunning shell that oozes style and sophistication. 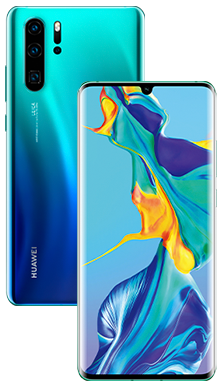 There is something pretty special about Huawei, they have managed to do what no other company has done before and gone from virtually unheard of to one of the top three mobile phone manufacturers in a seriously short time. They have a vast following, and a new product launch is always something to behold. When they unveiled the latest P30 series, the media reaction was excitable and confident, and the fans are rushing to grab their new phone even before they reach our shelves. That is how good this new flagship range really is. The moment you pick up the Huawei P30 Pro you can tell that you are holding a high-end premium handset. It has the look, feel and weight of a top ranking handset, the design is flawless, and the overall look and feel is first class. The first thing that strikes you is the massive screen which is dazzling and a true infinity screen with no hint of wasted space. Even the front-facing camera has been taken down in size to a water drop which is totally discrete and doesn’t intrude when you are viewing the whole screen. 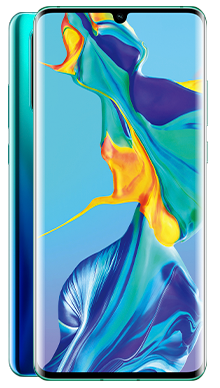 The overall design is glass and aluminium much like all of the high-end handsets and, naturally, there is a level of protection in the glass to make sure that it is durable enough to survive daily life. The handset has an IP68 rating which also makes it waterproof and dust resistant so you can be confident when taking it out, although as always we still recommend a case for any mobile device. 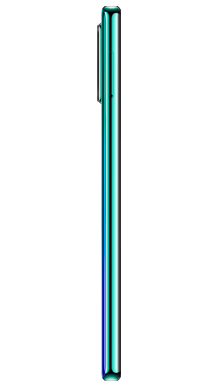 Being the Huawei P30 Pro, this is the larger of the handsets in the series and comes in at a sizeable 6.47 inches which we know to be a massively popular size in the current trend of things. This is down to an increasing desire to use mobile phones to stream movies and play games. A larger screen is perfect for this, and it gives you a stunning viewing area. The screen is an OLED screen which gives 1080x2340 pixels with 398PPI, and an aspect ratio of 9.5:9 giving you the perfect home cinema feel should you need it. Turning the handset over reveals even more design brilliance, and this is a quad camera arrangement they have opted to do away with the square arrangement seen on the Mate 20 Pro but instead opted to line the lenses up vertical and this really does work. Just to the side of the lens arrangement is the LED flash and the overall finish is stunning. You will see the iconic Huawei branding and Leica branding as well. The handset comes in various colours including black, and they are all gorgeous to look at. The audio functionality of the Huawei P30 Pro is pretty close to perfect and gives many other handsets a run for their money. The speaker is well located and performs really well with crisp, clear sound delivery whether you are making hands free calls or using the phone to stream music or watch video. On this bigger handset, the headphone jack has been removed; it features on the P30 but not this one. Instead, you will find the USB Type C headphone attachment which will require an adaptor to use wired headphones. As mentioned already the P30 Pro features a SuperSensing 40MP Leica made quad camera system, (20MP ultra wide + 40MP wide angle + 8MP 5x telephoto +ToF). Their use of Leica lenses guarantees a solid performance. The front-facing selfie camera packs a huge 32MP punch which is perfect for recording your adventures. Hardware and software are always a little predictable on all phones as each manufacturer favours specific components, and this is pretty much what we expected to see from Huawei. They know it works and gives the performance they want, so they are not likely to stray far from it. You will find that the handset comes running Android 9.0 Pie with and EMUI 9.1 which is familiar to Android users and offers a good level of customisability. In terms of hardware, you find the HiSilicon Kirin 980 chipset and Octa-core (2.6 GHz, Dual core, Cortex A76 + 1.92 GHz, Dual core, Cortex A76 + 1.8 GHz, Quad core, Cortex A53) CPU and Mali-G76 MP10 GPU. This is a wireless charging handset that also supports reverse wireless charging which is similar to their Mate 20 Pro and a really useful feature. Although there is no wireless charger included you do get the super fast cable which offers a 70% charge in just half an hour. The battery is a good size 4200mAh. When it comes to storage there is more than enough for most users with 128GB build into the phone and the inclusion of the microSD card slot which gives you an option to add a further 256GB should you need to. A powerful handset that offers a great size for movie lovers and gamers. This is a premium handset that delivers every time and will be the perfect choice for many users. 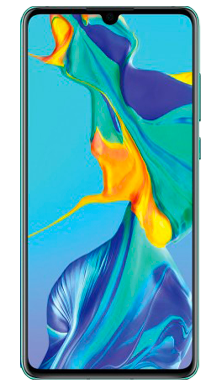 Here at Metrofone, we strive to provide the most significant range of mobile phones to our customers, and that includes all the latest releases. Once you have found the handset that meets your needs, you can then choose from a wide range of deals, and we have worked hard to give you the best choice here too so you can find the pay monthly deal to best suit your daily life. Our exclusive partner EE has the best network coverage so once you have your handset you will be able to make calls and access the internet no matter where you might happen to be. They are also fantastic at supporting customers and offering a range of network extras. If you would like to learn more about the Huawei P30 Pro or ask about any of the amazing deals that we offer, then please do get in touch with us today on 0333 900 1144 and our customer service team will be delighted to help you.